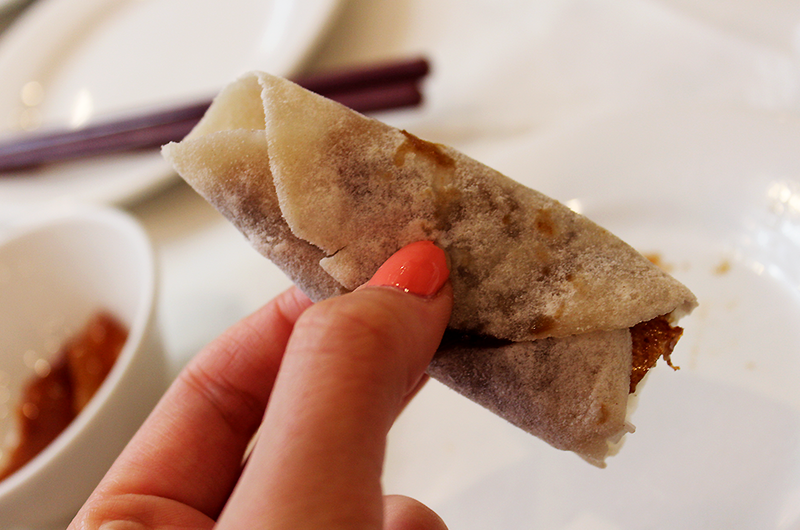 My family and I took a trip down to Summit Garden, one of our favourite chinese restaurants. 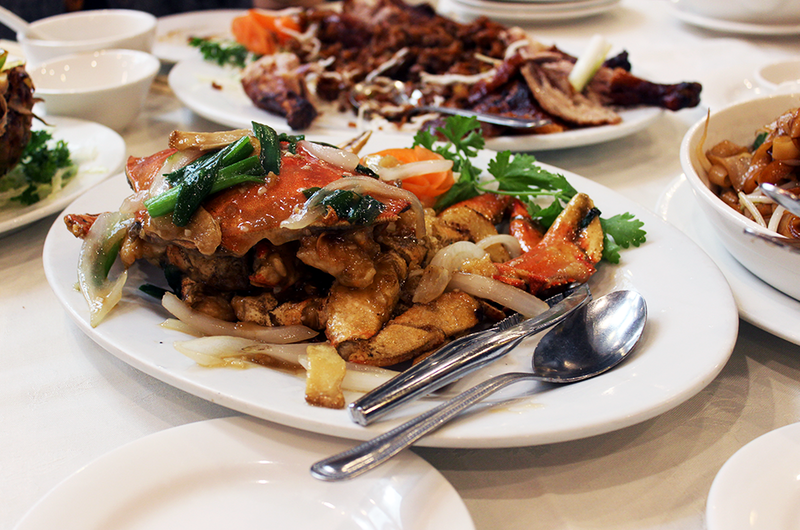 Food is tasty, portion sizes are great, and it has a very comfortable atmosphere. 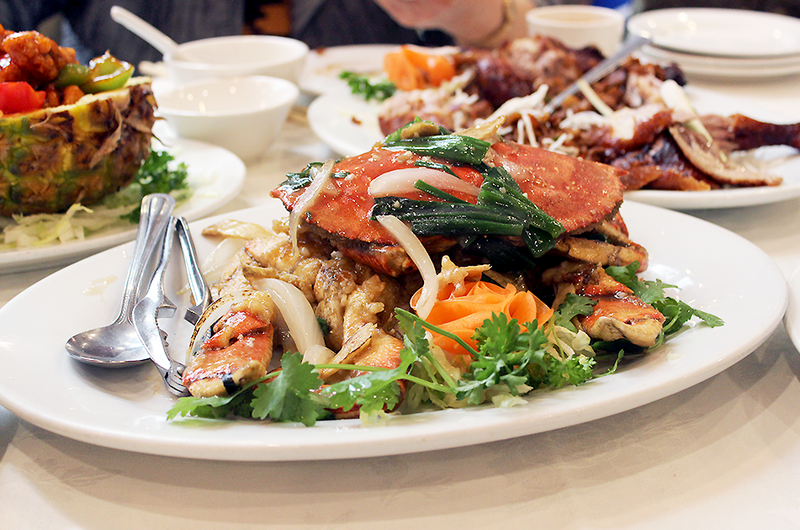 If you’re in Toronto/ Mississauga, it’s at the intersection of Winston Churchill Blvd and Dundas St. Not the most glamorous area but the food is great! 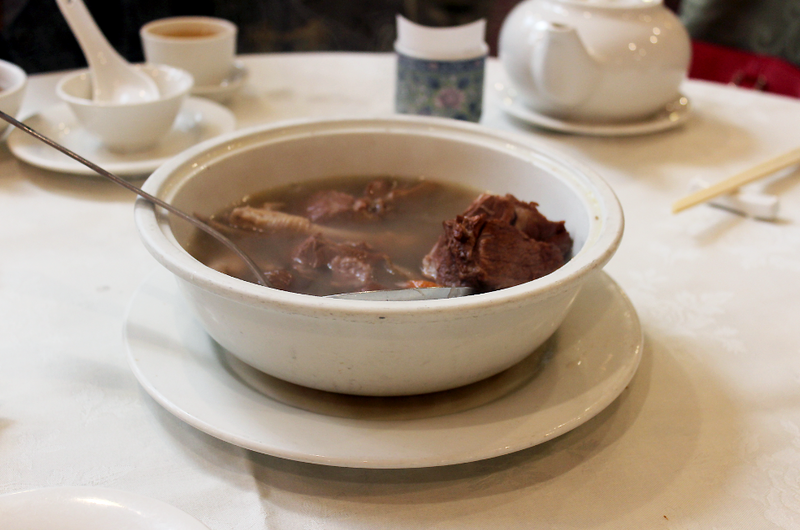 Starting off with beef stock soup filled with tender meat and carrots. Super savory. Take one of the flour pancakes. 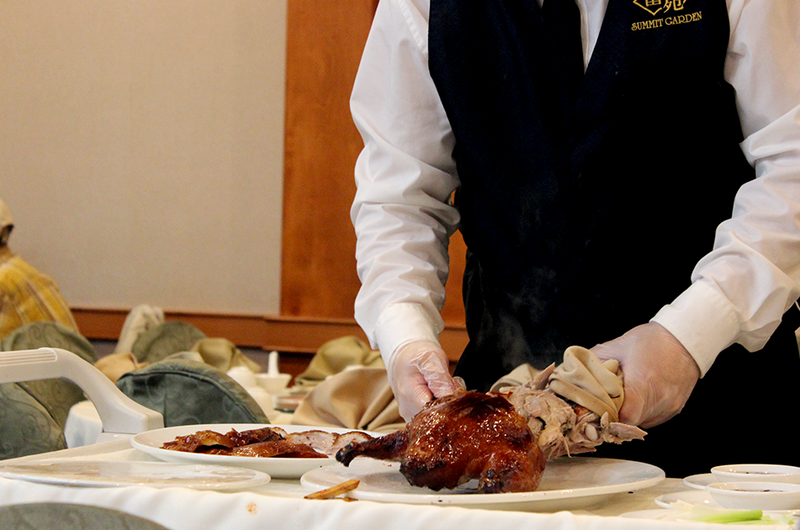 smother it with hoisin or oyster sauce, and add duck/leek/carrots! 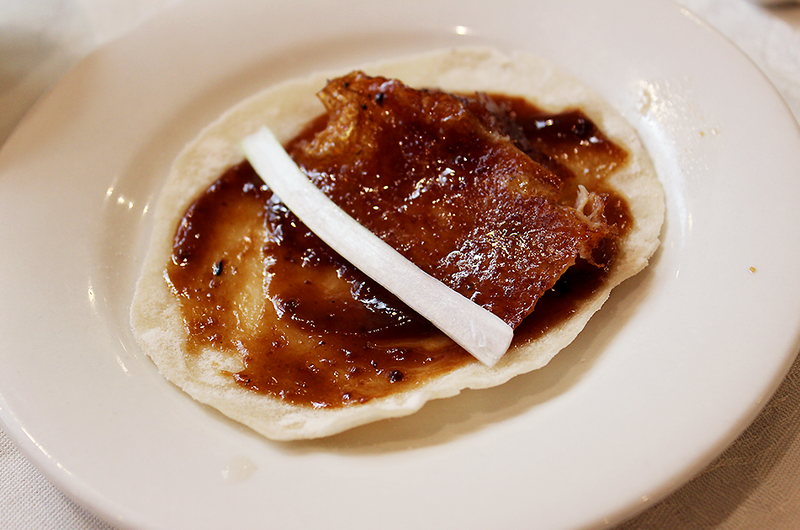 Fold it into a little taco! 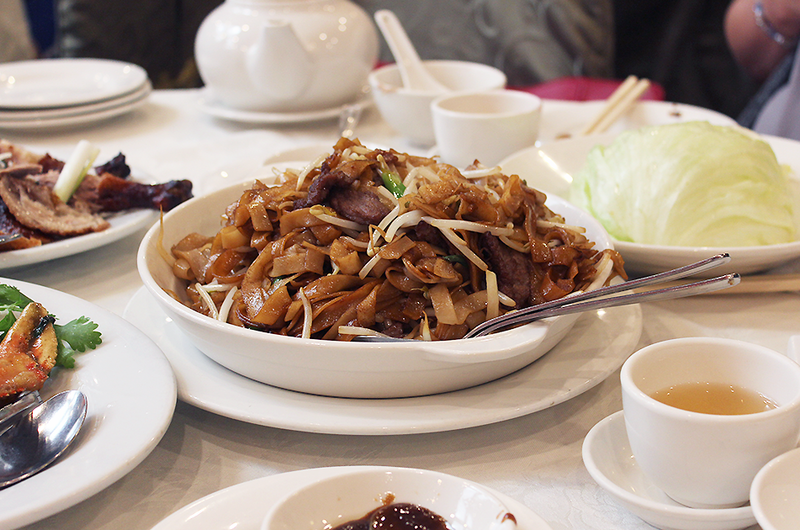 This is one of my favourite chinese dishes, although I’m pretty guilty of eating just pancake + hoisin sauce… It tastes good, ok?! 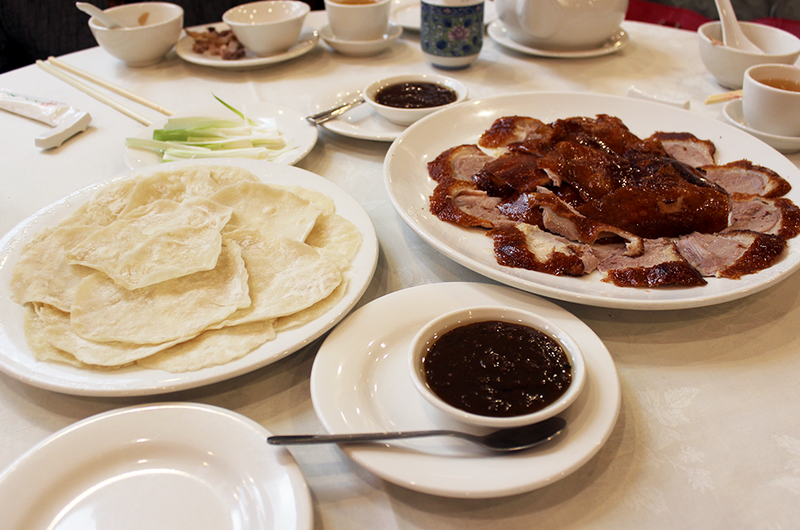 The leftover peking duck is cooked and made into a meaty filling. Lettuce leaves are included – again, the lettuce leaf serves as a wrap. Load up your lettuce wrap with the filling! Absolutely delicious. 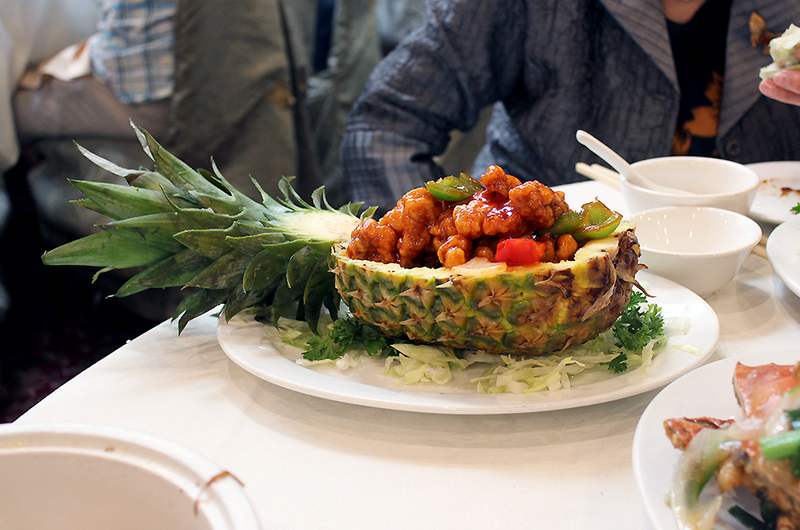 Another favourite – sweet and sour pork served in a pineapple! Delicious and light flavor, with chunks of pineapple, and red and green bell peppers. Noodles with bean sprouts, asparagus, and shredded beef. Delicious! 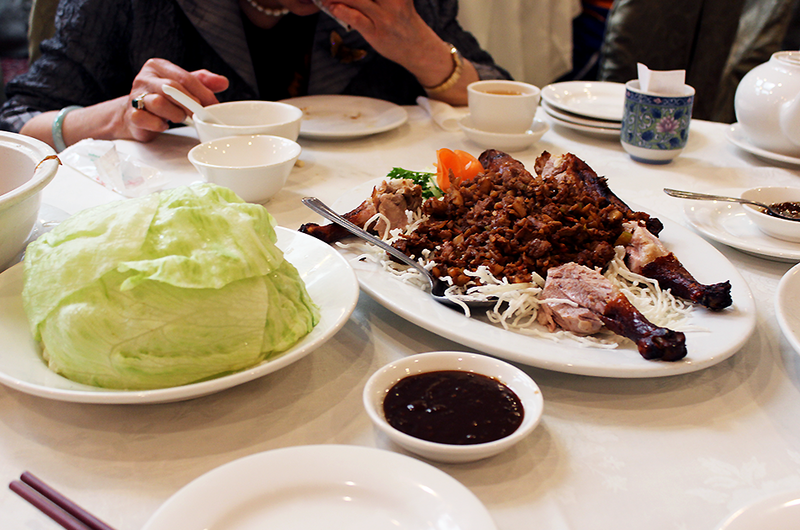 Starting to crave lettuce wraps again, but I’m sure we’ll be back soon enough. 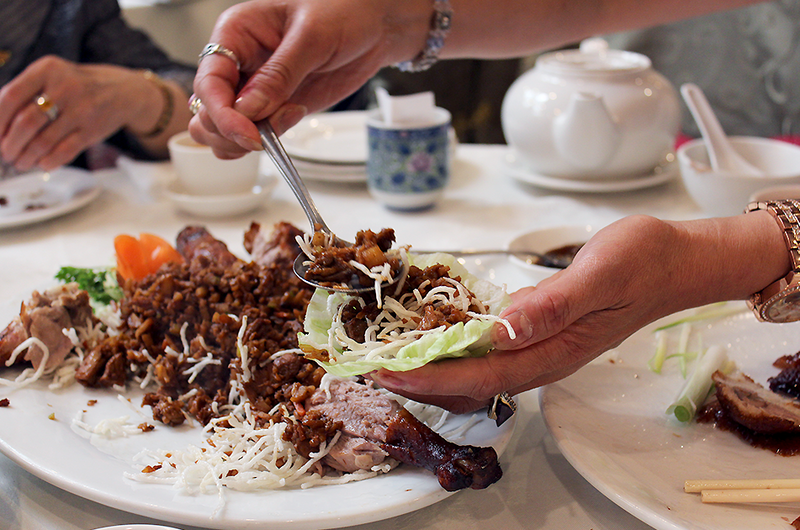 Have you tried Chinese food? What’s your favourite dish?